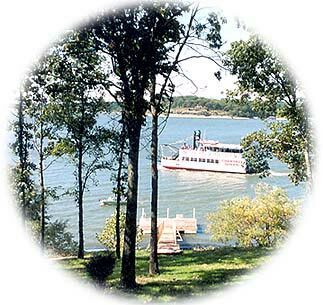 Located on the shores of beautiful Grand Lake O'the Cherokees, situated in the foothills of the Ozarks, Grove is blessed with natural beauty and opportunity. At one time Grove was nothing but wilderness. Its natural spring and groves of trees became identifying landmarks and a respite for travelers. In the olden days, Grove was known by several different names - Round Grove, Monroe Grove, Tablor's Grove, The Grove and Grove Springs. With a rich and colorful history and an enterprising attitude, Grove welcomes new residents and business owners daily, while retaining small-town traditions, warm hospitality and solid values. A few years back, Rand McNally, the Wall Street JournalPlaces Rated ranked Grove as one of the top retirement areas in the nation. Shopping in Grove and around Grand Lake includes strolling tree-lined streets with charming antique and specialty shops, home interior and exterior design stores, and decorative accessories and gift stores. Many of Grove's historical buildings have become some of the most delightful gift stores, clothing stores and eateries. Grove is rich in history and heritage. Pioneer, cowboy and Indian heritage is what has turned what was once wilderness into the largest growing town in Oklahoma. Cherokee Indian families settled in the area back in the 1860's during the Trail of Tears, and French traders trapped much wildlife along the riverbanks. Since 1817 it has continued to be a well-known trading center with fertile valleys and clear streams. The blanketing woods that cover the hills of the countryside are the sites that many struggles and battles occurred that molded Grove into what it is today. In 1940, the Pensacola Dam was completed with the Grand River being dammed up to form Grand Lake O'the Cherokees, bringing electricity to the Cherokee nation in Indian Territory. In the process the town of Grove was almost completely surrounded by water. The construction of Sailboat Bridge on the north and Honey Creek Bridge on the south connected Grove to surrounding towns, and Grove began to boom. Grove continued to thrive, and as the years passed new businesses were attracted to the area. In 1968 Har-Ber Village, the largest antique museum in the United States, was created. MainStreet Gallery and Gifts is a unique shopping experience. We offer a variety of gift items and Coca Cola memorabilia. Upstairs we have our very unique and peaceful Thomas Kinkade Gallery featuring his artwork in a variety of price ranges. Please visit us soon! Enjoy riding the Grand Trolley! There is no scurry, hurry or traffic flow problems when you ride the Grand Trolley during your vacation time! Step aboard and enjoy the perfect combination of sightseeing fun, historic highlights, shopping convenience and the experience of riding the trolley. Built in 1909 by Colonel Charlie Corey, the hotel is a piece of history you don't want to miss!